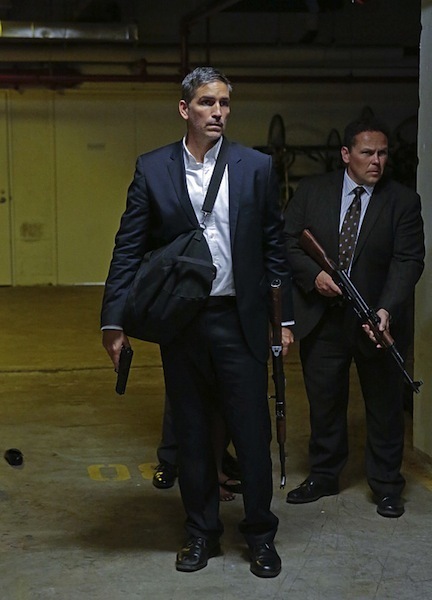 On the next new episode of PERSON OF INTEREST, Reese crosses paths with a bounty hunter (played by VIKINGS’ Katheryn Winnick) and Finch takes the next step in his plan that he set up during his trip to Hong Kong. 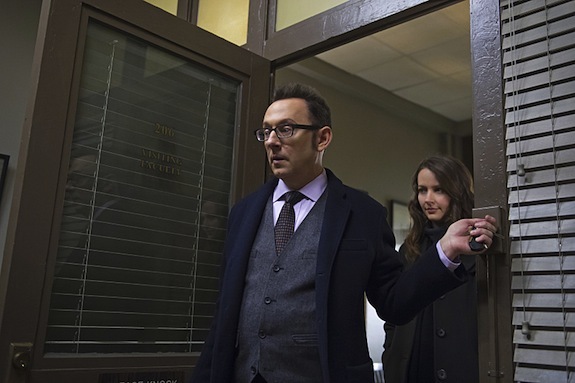 PERSON OF INTEREST is continuing its streak of bringing back familiar faces post-Shaw’s “loss”: in next week’s episode, “Q&A,” Claire, the young hacker Finch befriended in “Nautilus” returns. The Brotherhood is about to become a major factor on PERSON OF INTEREST — “They’re one of our non-AI criminal groups….they’re going to be a huge distraction for our heroes,” Michael Emerson (Finch) teased over the weekend at New York Comic Con — and tonight’s brand new episode unmasks the leader of the group. The PERSON OF INTEREST season premiere is less than a week away, and with the team needing to split up to stay alive at the end of season 3, the stakes are high when the show returns. But, thankfully, the hour is also legitimately fun as everyone attempts to find their footing in their new world. 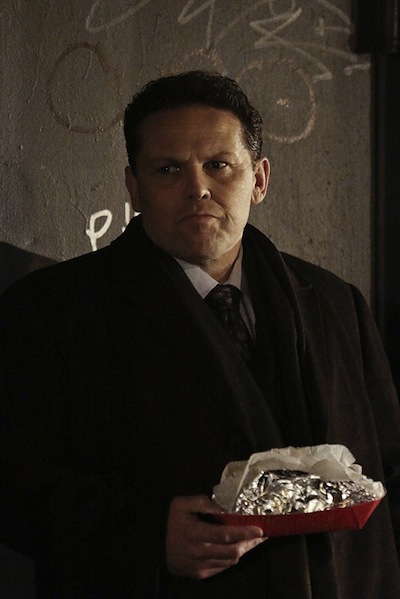 PERSON OF INTEREST split up the team at the end of last season — Finch, Reese, Root, and Shaw assumed cover identities to hide from Samaritan, while Fusco was left holding down the fort at the NYPD — but they won’t be able to stay away for long. "Panopticon" -- Forced to take on new identities created by Root, the team tries to adapt to their new lives. 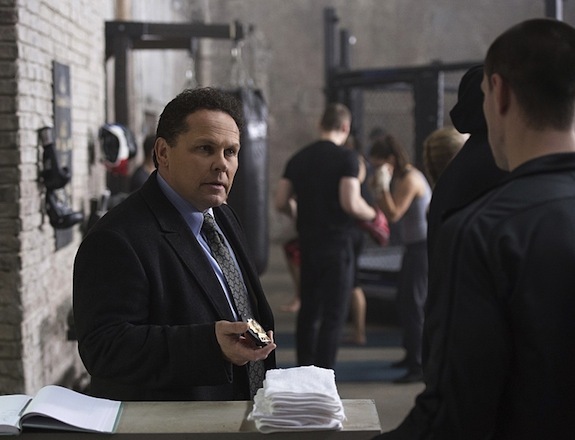 However, some find it hard to ignore The Machine's numbers, which puts them all at risk of being detected by Samaritan, on the fourth season premiere of PERSON OF INTEREST, Tuesday, Sept. 23 (10:01-11:00 PM, ET/PT) on the CBS Television Network. Pictured left to right: Jim Caviezel and Michael Emerson Photo: Giovanni Rufino/Warner Bros. Entertainment Inc. ÃÂ© 2014 WBEI. All rights reserved.